Co-chair of the American Bar Association's Litigation Section Pretrial Practice & Discovery Committee, Robert J. Will remarked on the importance of lawyers continuing to consult in-house counsel in regards to the decision reached in Stock v. Schnader Harrison Segal & Lewis LLP in an article in Litigation News. The full article, "Court Shields Lawyer Communications with In-House Counsel," appears in the Winter 2017 edition. 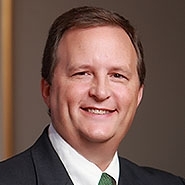 In addition to his leadership role with the American Bar Association, Bob Will is a member of the Litigation Department of Lewis Rice, in which he advises his clients on matters related to class action litigation, trust and estate litigation, professional liability, and condemnation.